The remainder of Colorado was unchanged under mostly warm and dry weather during the previous week. Overall, 19 percent of the state was drought-free. 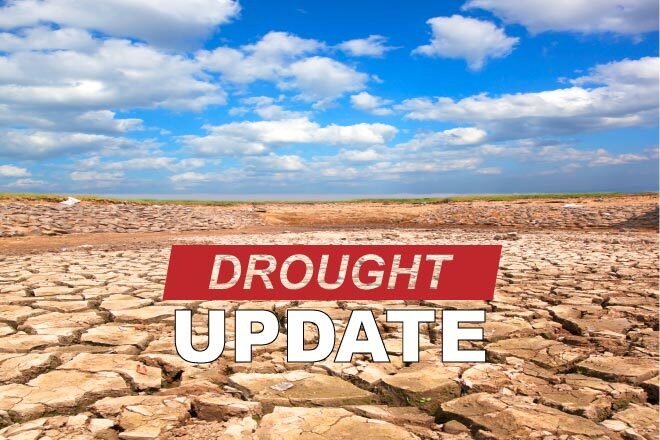 Seven percent was abnormally dry, up one percent from the prior week, while nine percent was in moderate drought, down from 10 percent. Severe, extreme and exceptional conditions impacted 20, 27, and 9 percent of the state, respectively. Nearly 46 percent of the state is in the two worst drought categories. One year ago, 84 percent of Colorado was drought-free, while 16 percent was abnormally dry.